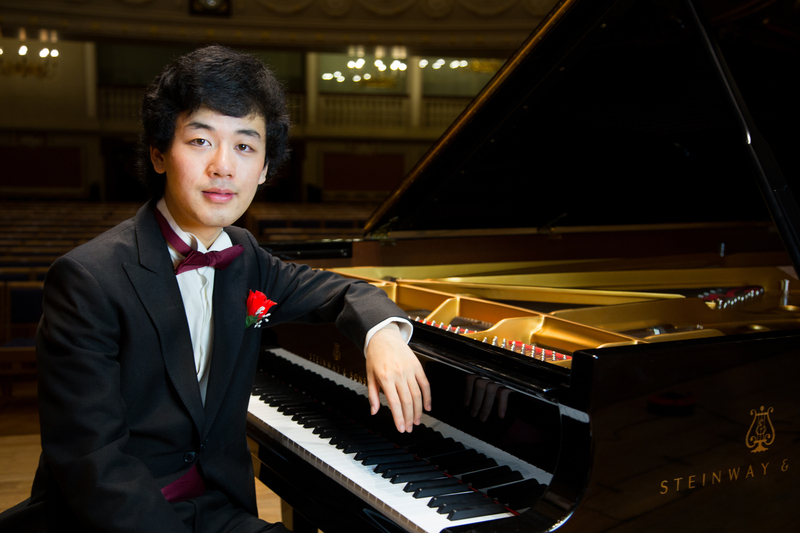 Born in Edinburgh, Yuanfan began learning the piano when he was 6, passed Grade 8 with Distinction at the age of 8 and achieved a Diploma of the Associated Board of the Royal Schools of Music (DipABRSM) when he was 10. He was awarded the AMusTCL Diploma in Music Theory with Distinction in 2015, and is a Scholar of the Drake Calleja Trust. Yuanfan has won numerous piano competitions. He has won 1st Prize at the Cleveland International Young Artists Piano Competition in the USA in 2015, and 1st Prize of the 4th International Franz Liszt Piano Competition in Weimar, Germany in 2014, with which he was awarded the Special Prize for Best Interpretation of a Classical Sonata, the Special Prize for Best Interpretation of Works by Liszt, the Special Prize for Best Composition and Improvisation, the Junior Jury Prize, and the European Union of Music Competitions for Youth (EMCY) Prize for Most Outstanding Contestant. In 2013 he won the 3rd Prize in the Minnesota International E-Piano Competition. He has also won 1st Prizes in the 2010 RNCM James Mottram International Piano Competition (under 19), and the 2009 Manchester International Piano Concerto Competition for Young Pianists (age 16 and under). 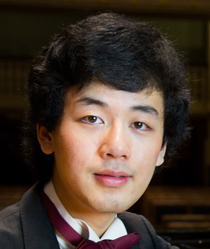 Yuanfan is also a fluent sight-reader, having been the champion of the ongoing Michael Abraham Sight-Reading Award six years in a row, ever since he joined Chetham’s. He has also won 1st Prizes in the UK Liszt Society International Piano Prize 2015, the Royal Academy of Music’s Sterndale Bennett Prize 2015, and the 9th Grand Prix Interlaken Classics International Piano Competition 2016. He was the Keyboard Category Winner and a Grand Finalist of the BBC Young Musician of the Year Competition 2012, and won both category and overall prizes at the European Piano Teachers Association (EPTA) UK Piano Competition 2010. Most recently, as the youngest participant and top eight semi-finalist in the Cleveland International Piano Competition 2016, Yuanfan’s performances earned him the Special AAF (Alink Argerich Foundation) Prize. Yuanfan has performed for many eminent music societies, festivals and key events throughout Britain, China, Denmark, France, Germany, Italy, Romania, Spain, Switzerland and the US, and has performed concertos by Beethoven, Chopin, Gershwin, Grieg, Mozart, Prokofiev, Rachmaninoff and Tchaikovsky with many eminent conductors and leading orchestras including the Northern Sinfonia, the Royal Liverpool Philharmonic Orchestra, the Romanian Radio National Symphony Orchestra, the Wuhan Philharmonic Orchestra, the Canton Symphony Orchestra in Cleveland, the Minnesota Orchestra, and the Manchester Camerata. Yuanfan is also a versatile composer and an accomplished improviser. His ‘Fantasy in G’ for piano was broadcast on BBC Two in 2007 and 2008, and his arrangement of ‘Scarborough Fair’ was shown on BBC Four in 2010. His piano composition ‘Waves’ won the Overall Award in the European Piano Teachers Association UK Composition Competition 2011. This piece also won Highly-Commended in the BBC Proms Young Composers Competition 2011. His ‘Haunted Bell’ won first prize in the Junior Group of the Golden Key International Piano Composition Competition in 2012, and it was broadcast on BBC Four and BBC Radio Three. He was a finalist in the National Centre for Early Music Composers’ Award 2013, where his piece ‘Crushed Suites’ was premiered and recorded by the leading early music ensemble Florilegium. In 2016, his ‘Silhouettes’ for small ensemble and ‘axis’ for violin and piano were premiered in London, the latter of which was a prize-winner at the Royal Academy’s Alan Bush Composition Competition 2016. In September 2014, Yuanfan’s new Piano Concerto – ‘The Wilderness’, scored for solo piano and full symphony orchestra, was premiered in Qianjiang, China; the concerto was performed again at Wuhan University as part of his China tour in November 2014, and it had its UK premiere with the Chetham’s Symphony Orchestra in June 2015, its London premiere in August 2016 at London University, and its French premiere in November 2016 – all the performances were enthusiastically received with critical acclaim from the press and audience. Yuanfan has recently recorded his debut album for Orchid Classics, which is due for international release in September 2017.